4 Mile Ranch Home for Sale | Aspen Snowmass Real Estate :: McKinley Real Estate Sales, Inc. 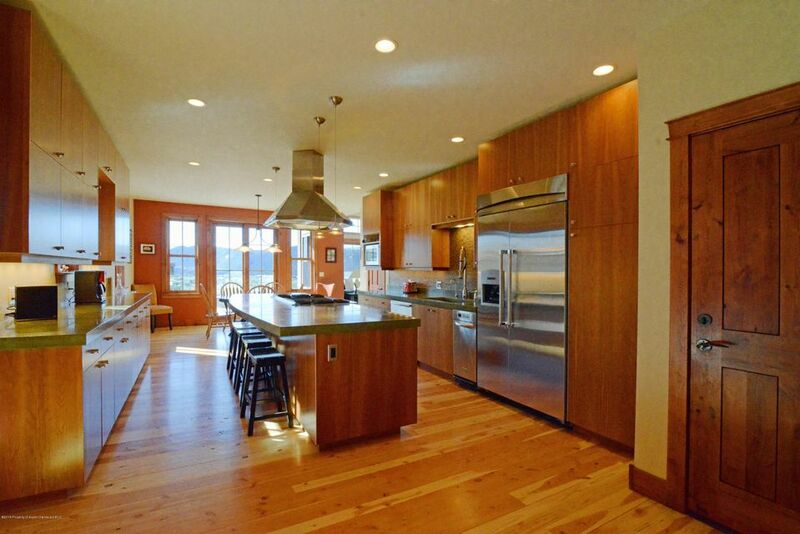 Kitchen with excellent traffic flow for a busy family or entertaining. This custom built home is on the ridge of the exclusive 4 Mile Ranch Subdivision. Well located just 10 minutes either to Glenwood or Sunlight Mountain Resort, this finely crafted home is thoughtfully sited to take full advantage of fantastic views of Mt. Sopris. The mountain contemporary design was engineered with energy efficiency in mind including solar panels, LED / CFL lighting, and energy star windows. The home includes a free-standing private guest villa with it’s own entrance that ensures privacy during your guests’ stay. The open floor plan is enhanced by hardwood floors and stone accents. 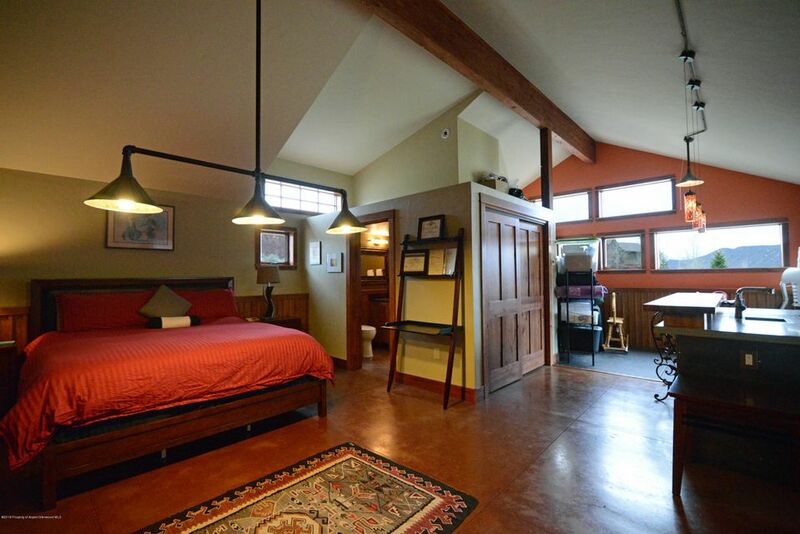 The large master suite has a private deck with a hot tub. Entertaining is easy indoors and out-the large covered patio has a fireplace and gets all day sun, and there’s plenty of extra parking.